페더럴웨이 요지의 상가 건물 'Pacific 27400 Retail Center'이 매물로 나왔다. 2006년에 지은 이 건물의 전체 리스 가능 면적은 5,497스퀘어피트이며 가격은 275만달러. 기존 테넌트에는 99카페, 애플 테리야끼, 점프 스타트 에스프레소, 스모크샵 등으로 99카페는 2026년 리스가 끝난다. First time on the market since 2007! 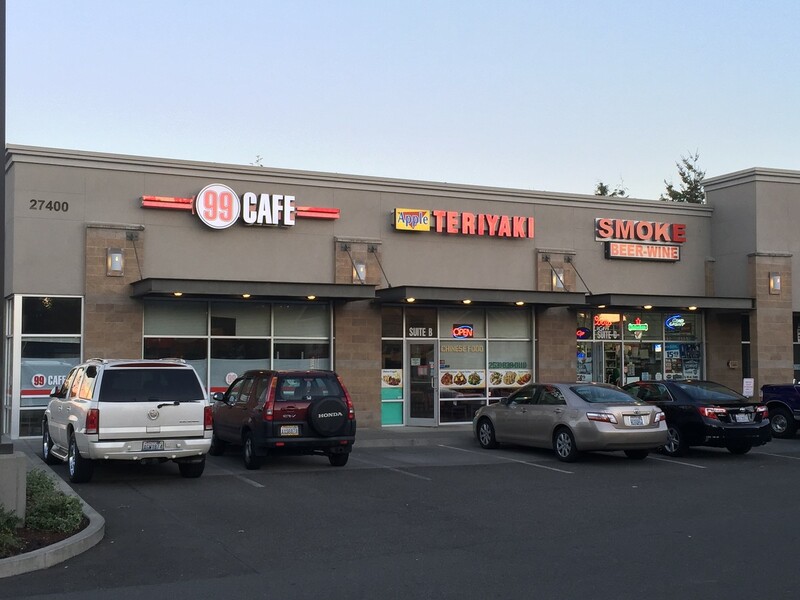 The Pacific 27400 Retail Center provides a fabulous investor opportunity to acquire a quality 5-tenant retail strip center with the ability to increase profits or have owner/user space! Lots of potential with this high traffic center – Additional possibility to convert multiple units into a big box retail and more. 2006 construction. Outstanding and well maintained retail building. Excellent street presence and monument signage on the heavily traveled Pacific Hwy. Contact listing broker for additional information and offering memorandum. Fabulous investor or owner/user multi-unit strip center Excellent street & monument sign frontage on busy Pacific Hwy Outstanding and well maintained building.